Recent events may have pushed the Brent front month futures contract back towards US$108 per barrel; but there's no denying some have been 'contangoed'! Ukrainian tensions and lower Libyan production are hard to ignore, even if the latter is a bit of a given. Nonetheless, for a change, the direction of both benchmark prices this month indicates that July did belong to the physical traders with papers traders, most notably Hedge Funds, taking a beating. It's astonishing (or perhaps not) that many paper traders went long on Brent banking on the premise of "the only way is up" as the Iraqi insurgency escalated last month. The only problem was that Iraqi oil was still getting dispatched from its southern oil hub of Basra despite internal chaos. Furthermore, areas under ISIS control hardly included any major Iraqi oil production zone. After spiking above $115, the Brent price soon plummeted to under $105 as the reality of the physical market began to bite. It seems European refiners were holding back from buying the expensive crude stuff faced with declining margins. In fact, North Sea shipments, which Brent is largely synced with, were at monthly lows. Let alone bothering to pull out a map of Iraqi oilfields, many paper traders didn't even bother with the ancillary warning signs. As Fitch Ratings noted earlier this month, the European refining margins are likely to remain weak for at least the next one to two years due to overcapacity, demand and supply imbalances, and competition from overseas. Over the first half of 2014, the northwest European refining margin averaged $3.3 per barrel, down from $4 per barrel in 2013 and $6.8 barrel in 2012. "This means that surplus gasoline is exported and the diesel fuel deficit is filled by imports, prompting competition with Middle Eastern, Russian and US refineries, which have access to cheaper feedstock and lower energy costs on average. Mediterranean refiners are additionally hurt by the interruption of oil supplies from Libya, but this situation may improve with the resumption of eastern port exports," explains Fitch analyst Dmitry Marinchenko. Of course tell that to Hedge Funds managers who still went long in June collectively holding just short of 600 million paper barrels on their books banking on backwardation. But thanks to smart, strategic buying by physical traders eyeing cargoes without firm buyers, contango set in hitting the hedge funds with massive losses. When supply remains adequate (or shall we say perceived to be adequate) and key buyers are not in a mood to buy in the volumes they normally do down to operational constraints, you know you've been 'contangoed' as forward month delivery will come at a sharp discount to later contracts! Now the retreat is clear as ICE's latest Commitments of Traders report for the week to July 15 saw Hedge Funds and other speculators cut their long bets by around 25%, reducing their net long futures and options positions in Brent to 151,981 from 201,568. If the window of scrutiny is extended to the last week of June, the Oilholic would say that's a reduction of nearly 40%. As for the European refiners, competition from overseas is likely to remain high, although Fitch reckons margins may start to recover in the medium term as economic growth gradually improves and overall refining capacity in Europe decreases. For instance, a recent Bloomberg survey indicated that of the 104 refining facilities region wide, 10 will shut permanently by 2020 from France to Italy to the Czech Republic. No surprises there as both OPEC and the IEA see European fuel demand as being largely flat. Meanwhile, Moody's sees new US sanctions on Russia as credit negative for Rosneft and Novatek. The latest round of curbs will effectively prohibit Rosneft, Novatek, and other sanctioned entities, including several Russian banks and defence companies, from procuring financing and new debt from US investors, companies and banks. Rosneft and Novatek will in effect be barred from obtaining future loans with a maturity of more than 90 days or new equity, cutting them off from long-term US capital markets. As both companies' trade activities currently remain unaffected, Moody's is not taking ratings action yet. However, the agency says the sanctions will significantly limit both companies' financing options and could put pressure on development projects, such as Novatek's Yamal LNG. No one is sure what the aftermath of the MH17 tragedy would be, how the Ukrainian crisis would be resolved, and what implications it has for Russian energy companies and their Western partners. All we can do is wait and see. That's all for the moment folks. Keep reading, keep it 'crude'! Oil benchmarks have by and large remained calm in the face of escalating tensions in Iraq. Market sentiment was helped in no small parts by the US importing less crude and ISIS being kept at bay from Iraqi oilfields. Nonetheless, what does the current situation mean for OPEC's spare capacity, concerns over which have marginally eased as non-OPEC production is seen rising. Over the first quarter of this year, OPEC's spare capacity was in the region on 1.9 million barrels per day (bpd), bulk of which – 1.75 million bpd – is in the hands of Saudi Arabia. Société Générale CIB analysts Patrick Legland and Daniel Fermon, recently raised a very important question in a note to clients – so assuming that within OPEC, supply from Iran, Iraq, and Libya does not increase and Saudi spare capacity is not sufficient to offset a potential Iraqi crisis, what then? A scary prospect, especially if Iraqi tensions spill to southern oilfields. 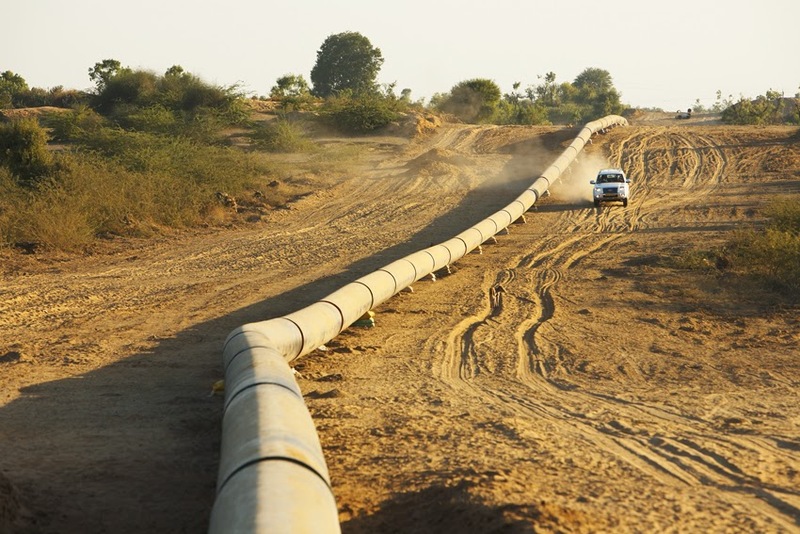 SocGen's veteran analyst Mike Wittner assigns only a 20% probability of crude oil exports from southern Iraqi oil fields (of Basrah) being disrupted. Current output is in the region of 2.5-2.6 million bpd or 3% of global production. In line with other city commentators and the Oilholic's own conjecture, Wittner says were Basrah to be hit, Brent could move up quickly into the US$120-125 range. Let's hope it doesn't get hit, as Legland and Fermon note, in the past 50 years, 5 out of 7 recessions coincided with an oil shock, with oil prices skyrocketing. "However, to date, no one is expecting the oil price to rise to $150 or above; so concerns over an oil-led recession appear exaggerated," they add. Away from pricing matters, a couple of corporate quips starting with a small cap. London AiM-quoted North Africa focussed E&P firm Circle Oil has largely kept the market on its side despite niggles it faces in Egypt along with other operators in the country. From where this blogger stands, Circe Oil's operations in Morocco and Tunisia remain promising and its receivables position in Egypt is in line with most (around the 180 debtor day norm). Investec analyst Brian Gallagher has reaffirmed the bank's buy rating. Explaining his decision in a note to clients, Gallagher observed that Circle Oil "generated operational cashflow in excess of $50 million in 2013 and we expect it to match or exceed this level again in 2014. This marks Circle out from many of its small cap E&P peers who struggle to fund exploration campaigns. Circle has two impact operations currently in process. Moroccan exploration recently began (successfully) while results from the Tunisian well, EMD-1, are imminent. In the background, Egypt continues to perform." The company is busy prospecting in Oman as well, even though it's early days. So methinks, and Gallagher thinks, there's a lot to look forward to. Switching tack to a couple of large caps, Fitch Ratings revised BG Energy's outlook to negative at A- and maintained BP's at A+/stable. Starting with the former, the agency said BG's negative outlook reflects completion risks associated with its new upstream projects, challenges that the company is facing in Egypt, and the potential that funds from operations (FFO) adjusted net leverage may stay above 2.5 times in the medium-term should there be any delays to project start-ups. "Presently, we view the group's credit metrics as stretched for the current ratings because of BG's ambitious investments coinciding with declining production, despite a series of asset disposals intended to strengthen the group's balance sheet," Fitch noted, adding that it expects the company’s business profile to improve with the start-up of its major projects in Australia and Brazil. On BP, Fitch views its operational profile as commensurate with the 'AA' category. "Presently, BP's rating direction depends largely on the outcome of legal proceedings related to the 2010 Macondo oil spill. At end the of the first quarter of 14, BP had provisioned $42.7 billion in total for claims and other related payments, of which it had paid out $34.9 billion." Fitch says that total payments below $70 billion, including amounts already paid out and the balance paid over a period of several years, are likely to keep BP in the 'A' rating category, while payments exceeding this amount may push the company's ratings into the 'BBB' category. On a broader footing, Fitch has maintained a stable outlook for its rated EMEA oil and gas companies. Senior director Jeffrey Woodruff says negative outlooks on certain companies such as BG was mainly due to company specific problems rather than broad based sector weakness. "It is worth highlighting, that more than 80% of issuers in Fitch's EMEA oil and gas portfolio have stable outlooks and the number of positive outlooks doubled since 2013 to 5% from 2.5%," he adds. Finally, rounding the last four hectic weeks off, here is the Oilholic's latest article for Forbes touching on the recent jumpiness over the possibility of US crude oil exports. Yours truly does see a distinct possibility of it happening at some point in the future. However, it won’t happen any time soon and certainly not in an election year, with a race to the White House to follow. Last month also saw this blogger head to Moscow for the 21st World Petroleum Congress and a predictable 165th OPEC summit prior to that, where the organisation maintained its quota and Abdalla Salem El-Badri stayed on as Secretary General. As usual there were TV soundbites aplenty - the Oilholic's including - plus hustle, bustle, bluster and differences of opinion that go along with events of this nature. So for a change, one is glad this month's pace would be a shade slower. That's all for the moment folks. Keep reading, keep it 'crude'! © Gaurav Sharma 2014. 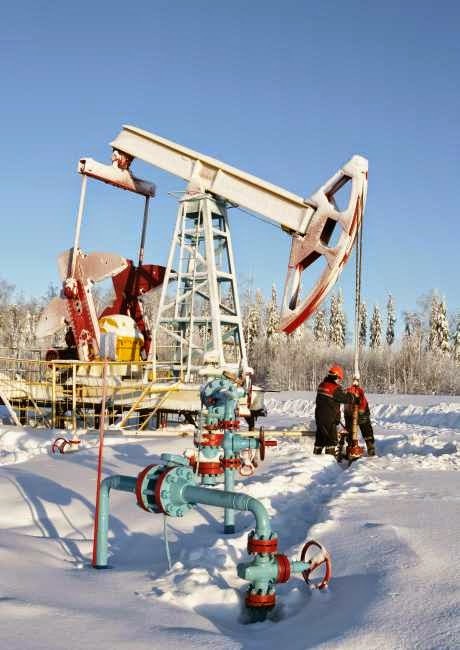 Photo 1: Oil pump in Russia © Lukoil. Photo 2: Gaurav Sharma speaking on OPEC Webcast © OPEC, June 11, 2014.